Mexico has been put through a fair amount of suffering in recent years. Good performances at the World Cup didn’t quite make up for the struggles in qualifying (Mexico needed to win a play-off against New Zealand), whilst the recent Gold Cup win was very fortunate and has been overshadowed by multiple controversies. Let’s also not forget the dismal displays at the Copa America and relatively recent friendly defeats to the USA and Belarus. Mexico under-performing isn’t just a recent phenomenon though, the CONCACAF giants are yet to really make their mark at a World Cup despite consistently making it through the group stages. 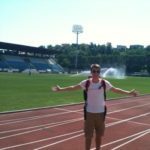 Their best finishes are two quarter-finals, both of which were achieved when Mexico hosted the tournament, and extraordinarily they’ve never won a World Cup knockout match away from home. Clearly, somethings wrong. 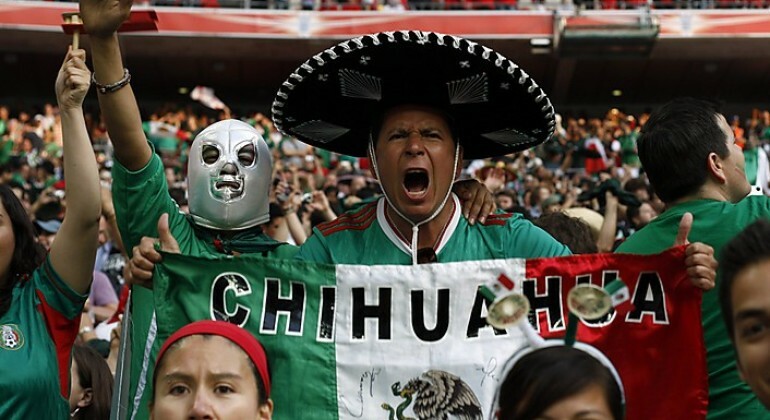 Like most things, there are many reasons why Mexico have never made a huge impact in world football, but one problem sticks out, where Mexicans play their club football. Every recent Mexico squad has been made up of a mixture of players from Liga MX and players based in Europe. The problem here is the difference in styles of play. Football in Mexico is slow and open, teams defend deep leaving players with plenty of time and space, and good technical ability is needed to break defenses down with either a killer pass or a dribbling run. In Europe teams defend much higher up the pitch, with more pressure on the ball and therefore less time and space. Technically gifted players are often a lot less effective due to the importance of physical attributes such as pace and strength. The difference is huge. 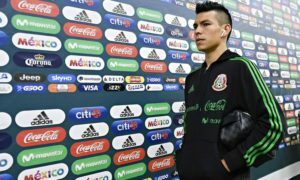 Getting a group of players that are used to two completely different styles of football to successfully play together is a large challenge, one that Mexican managers have struggled with for years. 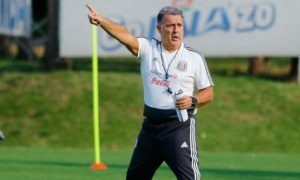 This struggle to find a successful way to play was particularly apparent in recent months with former boss “Piojo” Herrera almost constantly changing formation as El Tri consistently performed below par. With Herrera’s reign now over, following allegations that he punched a journalist not long after victory in the Gold Cup final, Mexico have an opportunity to attempt to fix this problem. Mexico need a manager with a long-term vision that’s going to install a certain tactic into the national team. A tactic that can be successfully adopted by players based on both sides of the Atlantic. Given this, a couple of names linked with the vacant manager’s post fill me with optimism for the future. Marcelo Bielsa is the preferred option for many Mexican fans and he completely fits the criteria. Bielsa transformed the Chilean national team, another country with players spread across two continents, by installing his attacking, high tempo style of play, and he could do something similar with El Tri. Bielsa is also familiar with the country having previously managed Atlas and América in the 90’s. However, in the past he’s criticized the FMF (Mexico’s FA) for their draft system and given this, it seems unlikely that Bielsa would work for the FMF. Perhaps the FMF should instead look to bring in Bielsa’s disciple, Jorge Sampaoli. Like Bielsa, Sampaoli would arrive with a long-term tactical vision that could greatly benefit Mexico. It may be difficult to lure Sampaoli away from Chile, where he’s had so much success, but with the Copa America won on home soil he may feel that there’s little more in his current job that can be achieved. Moving from Chile to Mexico may not be a step up for Sampaoli in the short term but it would present a new challenge and given the size of Mexico and the strength of Liga MX, there’s much more potential in the long run. However, there are real concerns that Mexico’s managerial merry go round, Mexico have had six different managers since the 2010 World Cup, could continue, which would surely just prolong this cycle of mediocrity. And even if the FMF do appoint a manager with a long-term tactical vision, be it Bielsa, Sampaoli or someone else, the fear is that Mexico will always struggle to get the best out of a squad that’s split over two continents, and split between contrasting styles of football.